Change default margins, i.e. 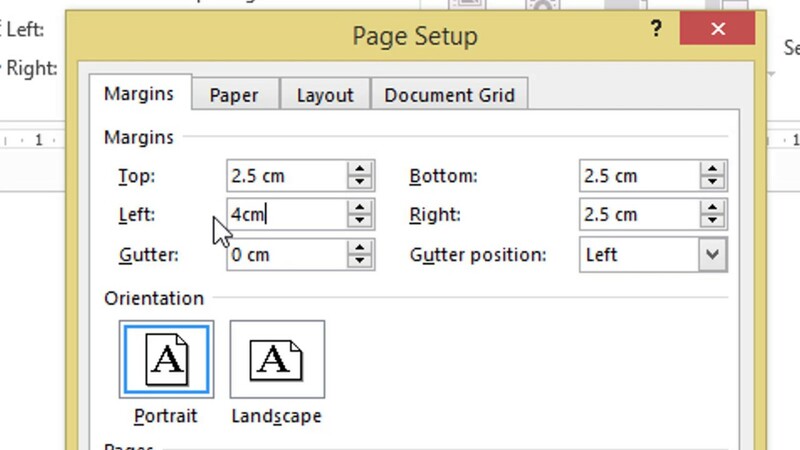 the blank space between the left, right, top and bottom page edges and the paragraph text, clicking the Margins icon and selecting one of the available presets: Normal, US Normal, Narrow, Moderate, Wide.... Change default margins, i.e. the blank space between the left, right, top and bottom page edges and the paragraph text, clicking the Margins icon and selecting one of the available presets: Normal, US Normal, Narrow, Moderate, Wide. 27/04/2011 · Is there a way to modify the default page margins in Report Builder 3.0. The default is 1 inch. I would like it to be .5 inch. Maybe this could be done by changing the MSReportBuilder.exe.config file in the program folder.